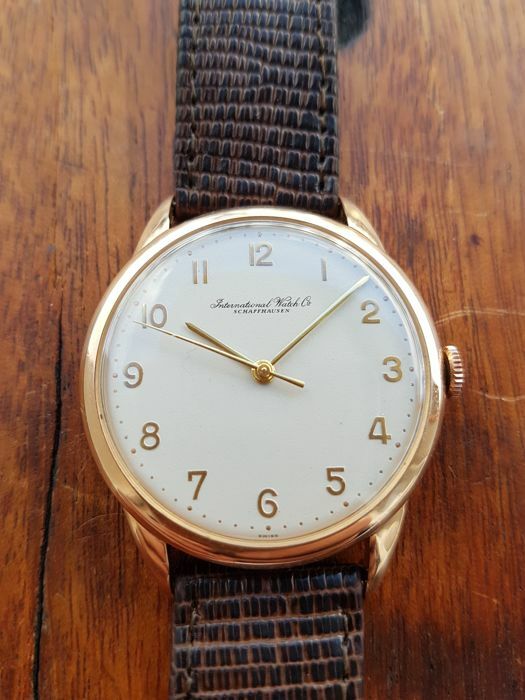 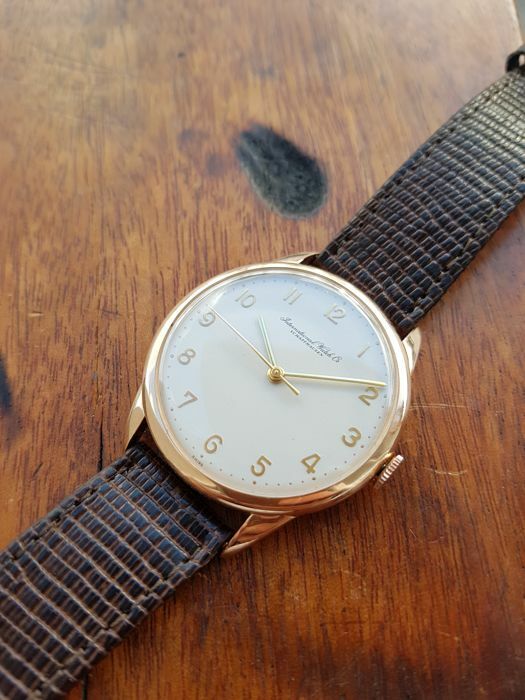 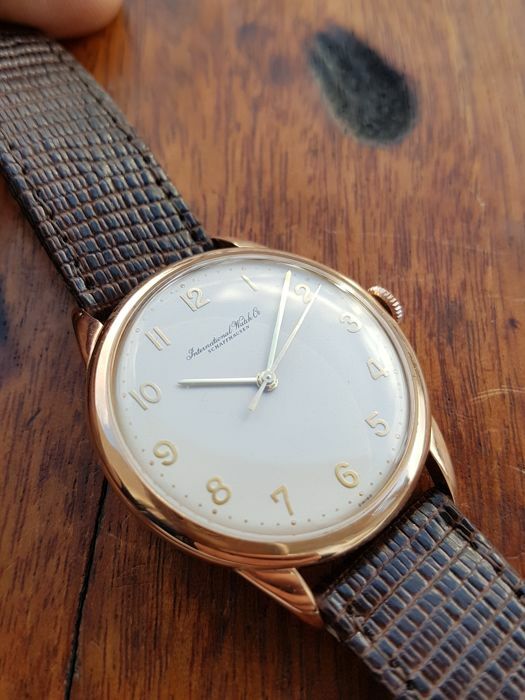 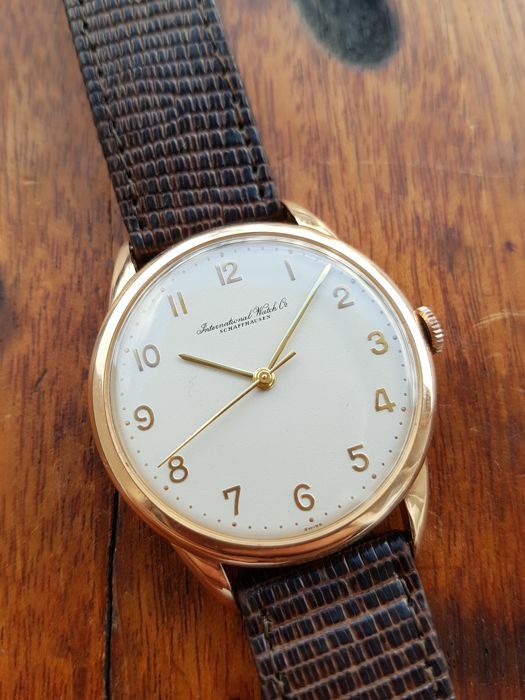 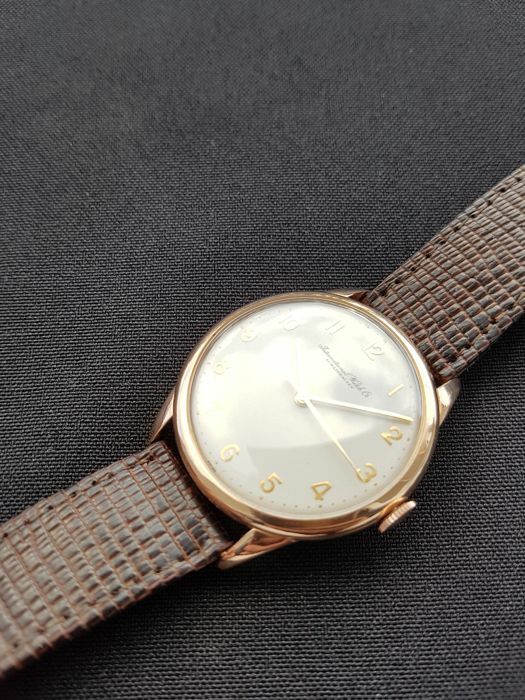 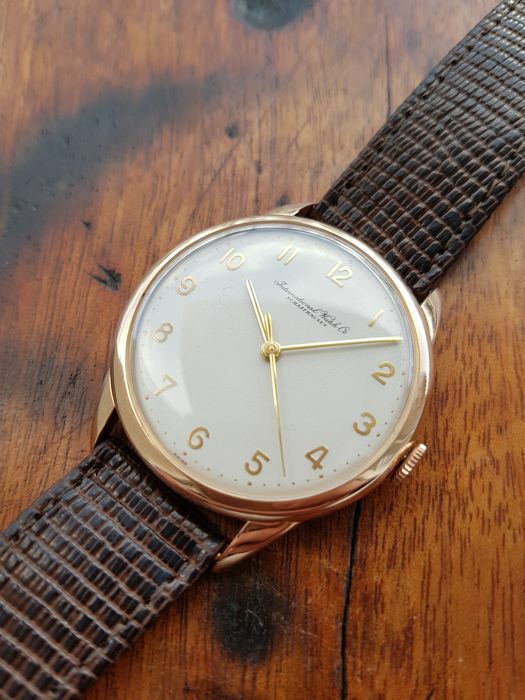 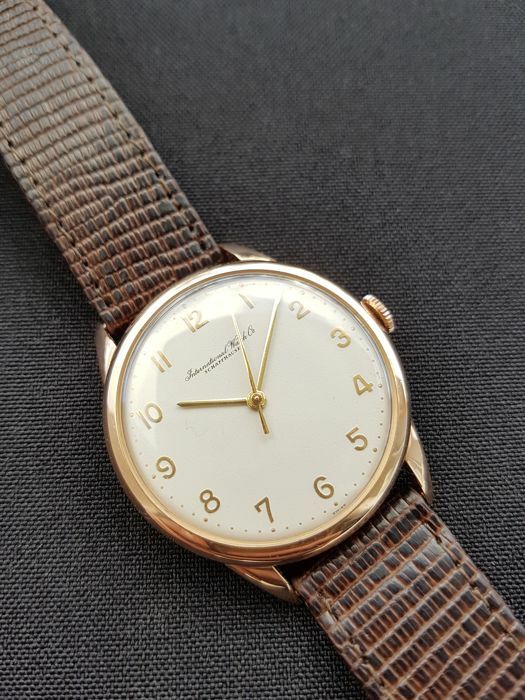 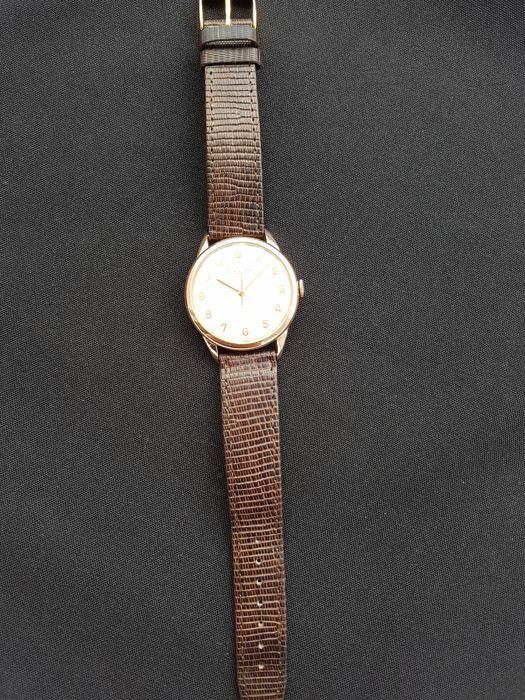 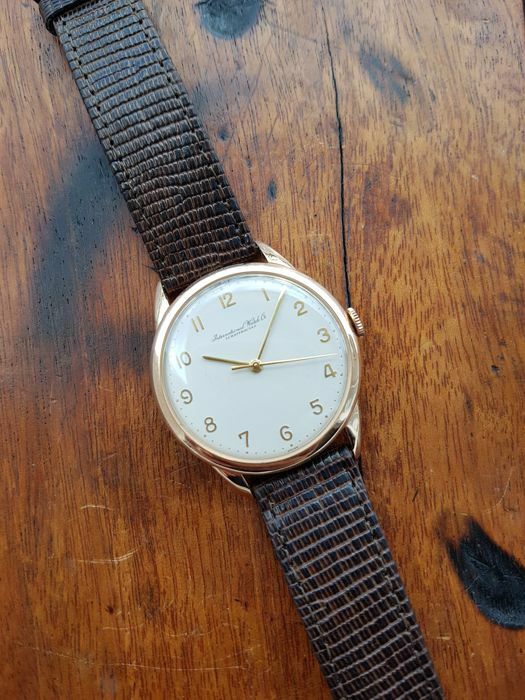 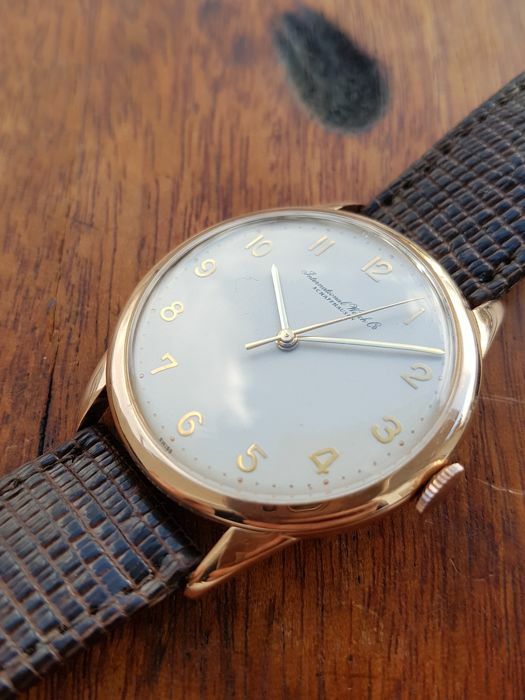 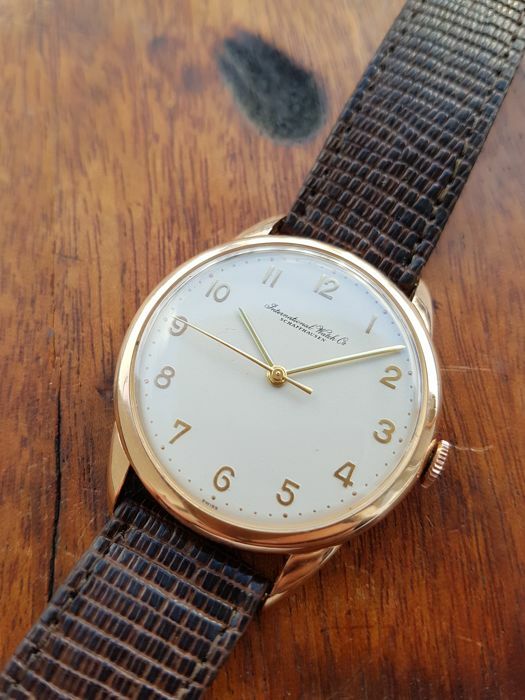 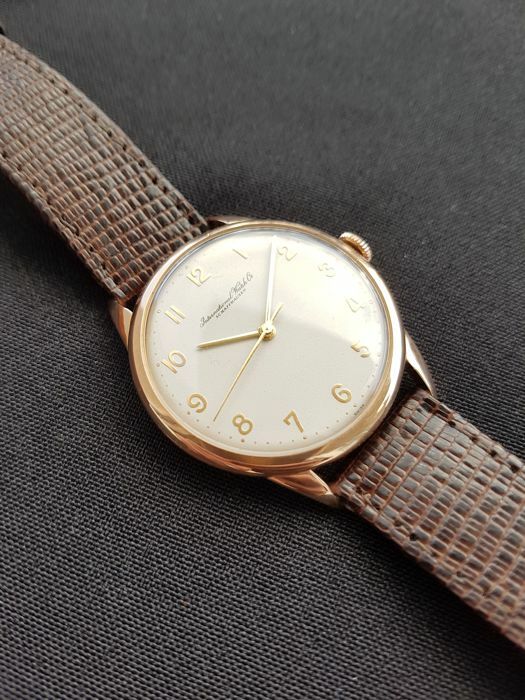 Here is for auction stunning IWC wristwatch from ca.1963, in solid 18K rose gold case, with beautiful dial and legendary movement IWC cal.89. 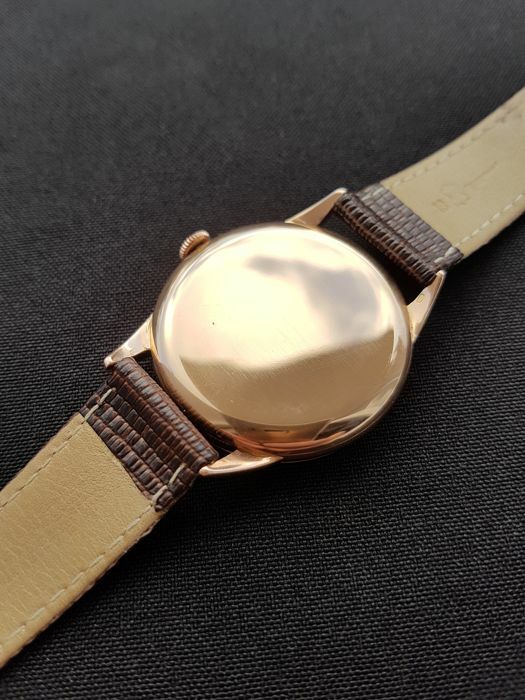 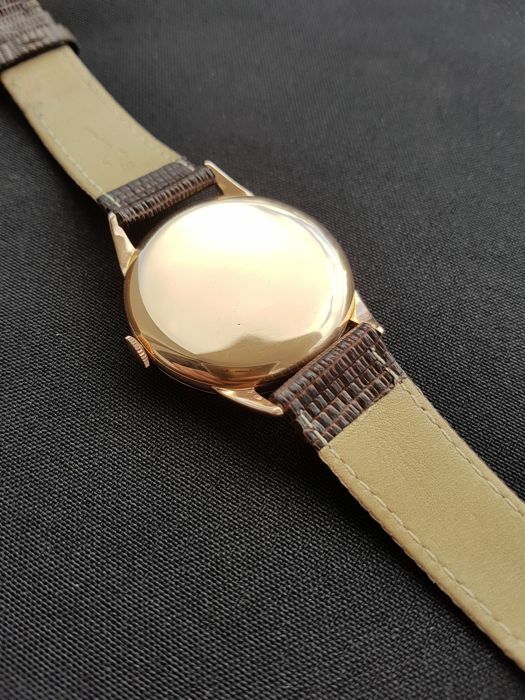 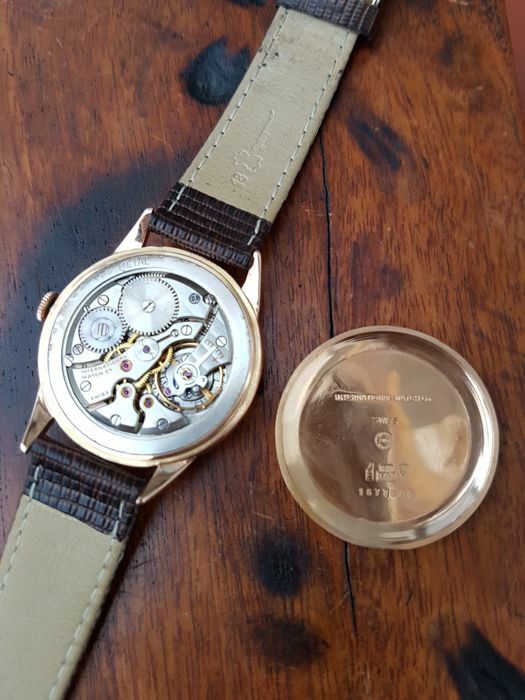 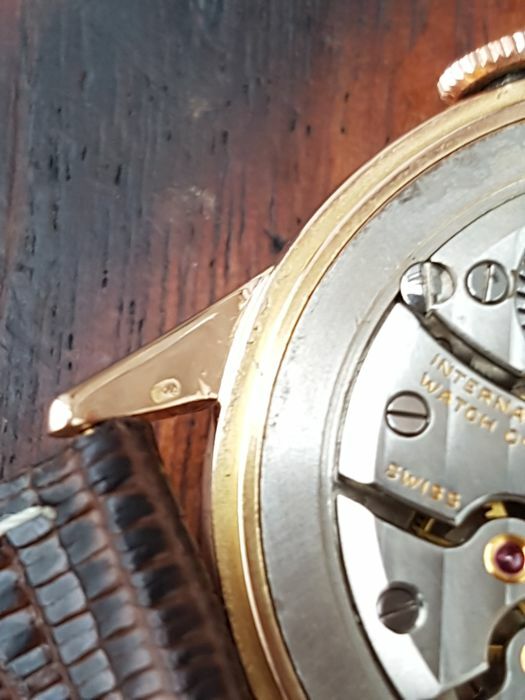 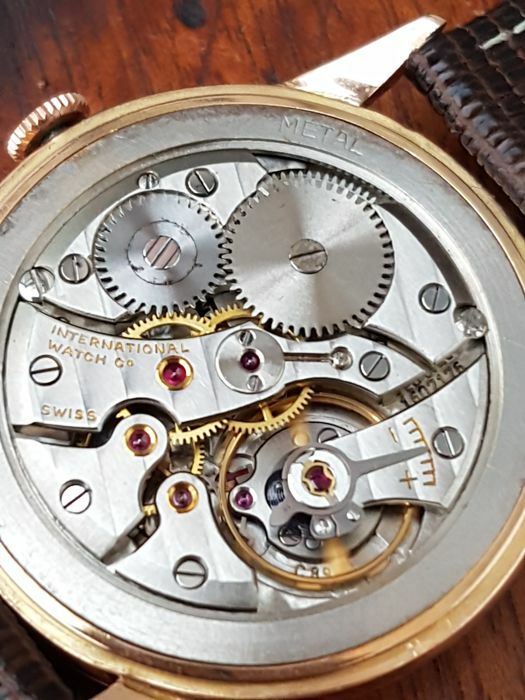 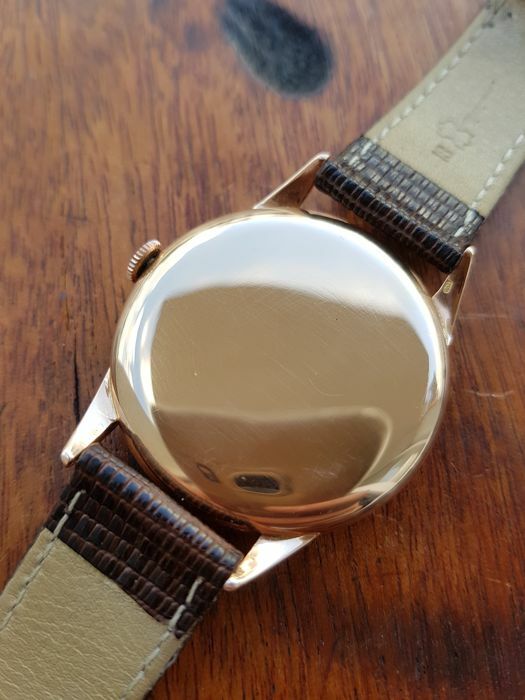 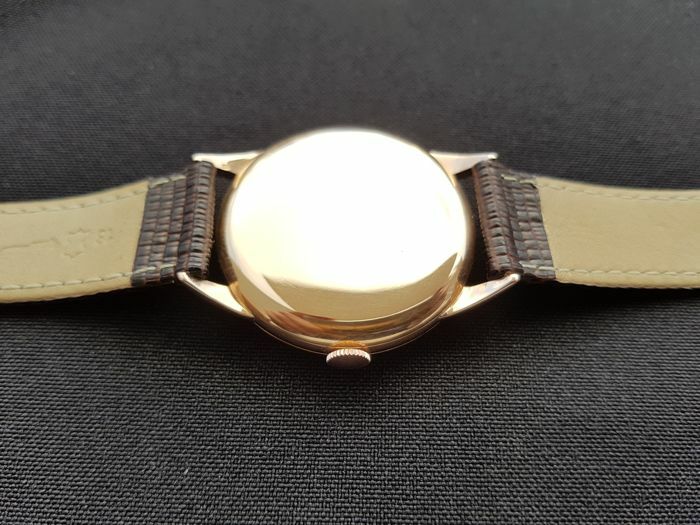 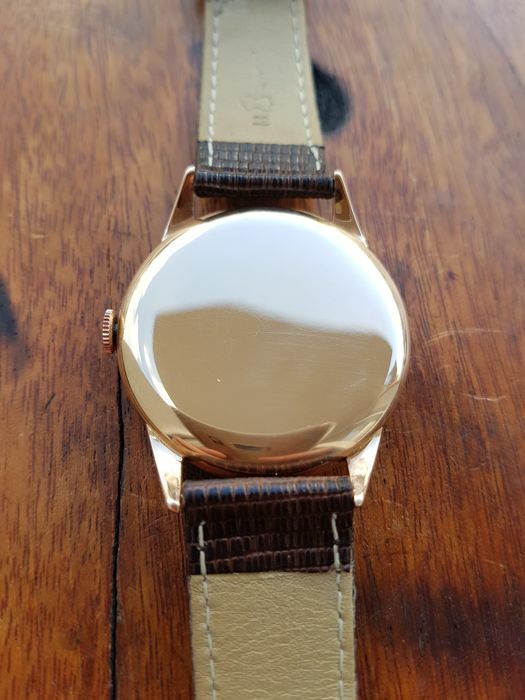 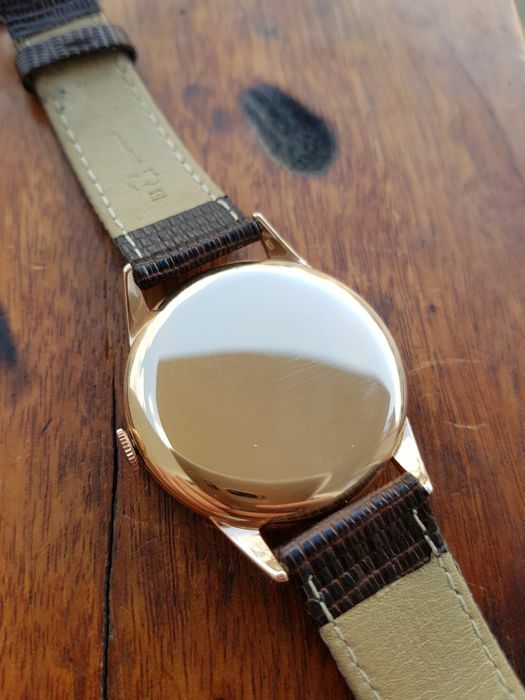 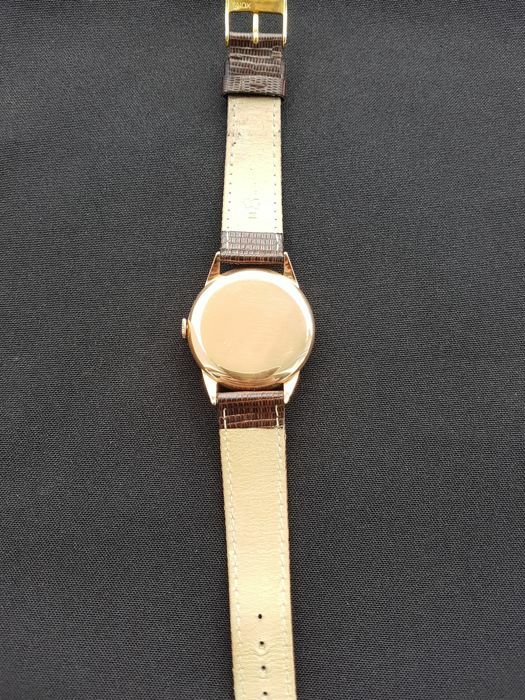 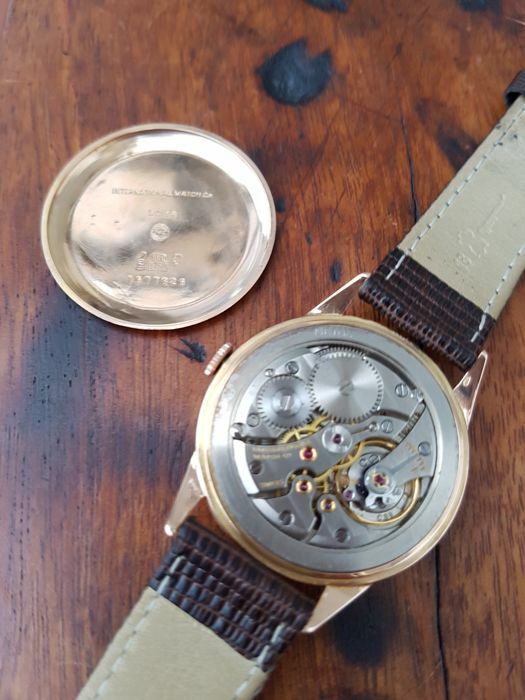 Beautiful massive case with nice lugs is in excellent original condition, never polished, retains it's all original bevels, hallmarked on the lugs with gold stamps, with diameter of 35,5mm without the crown and lug to lug width of 42,5mm watch looks very good on a wrist. 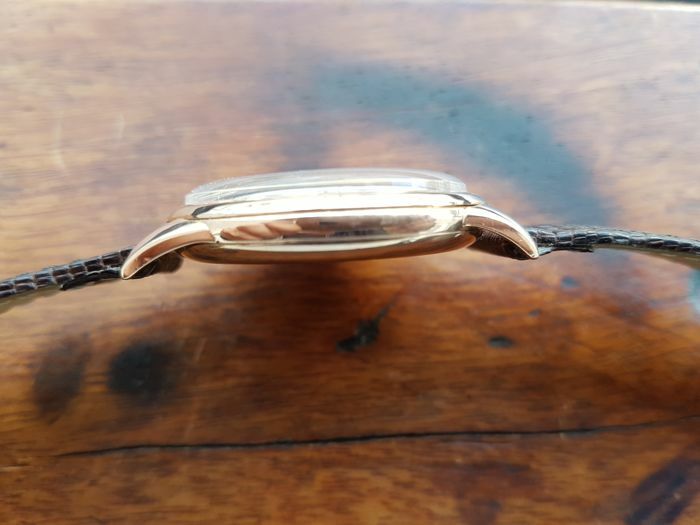 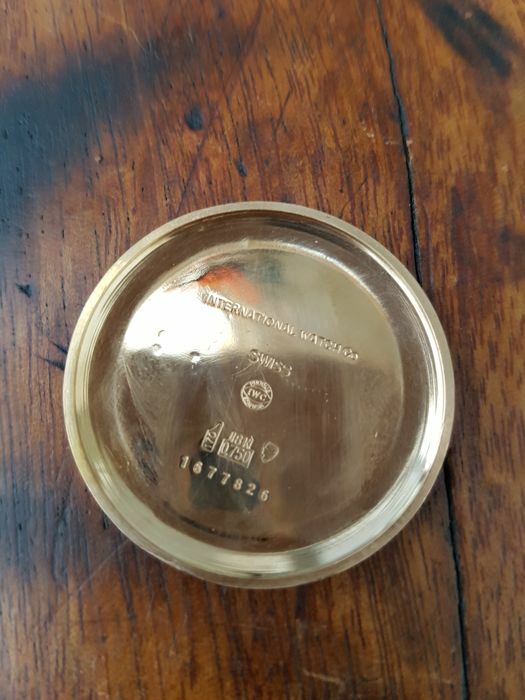 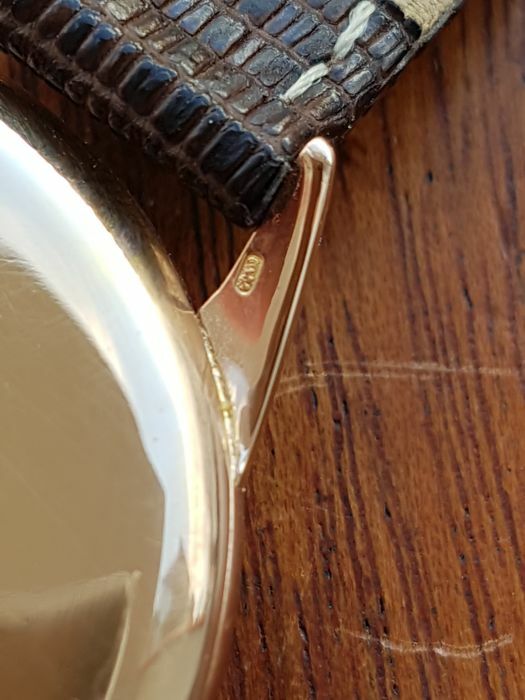 Case back is in very good condition, hallmarked on the inner side with "International Watch Co Swiss", IWC logo, serial number and 18K/0.750 gold stamps. 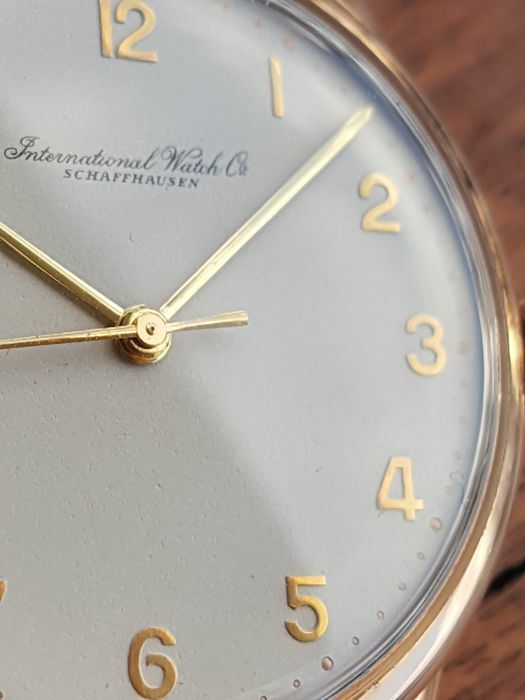 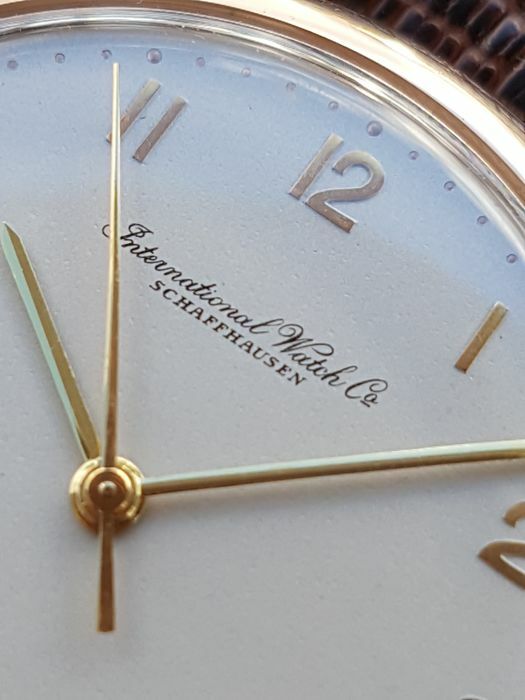 Stunning dial with applied full golden arabic numerals is in mint condition, signed with "International Watch Co. Schaffhausen", genuine hands are in mint condition, crystal is clear, crown is sharp. 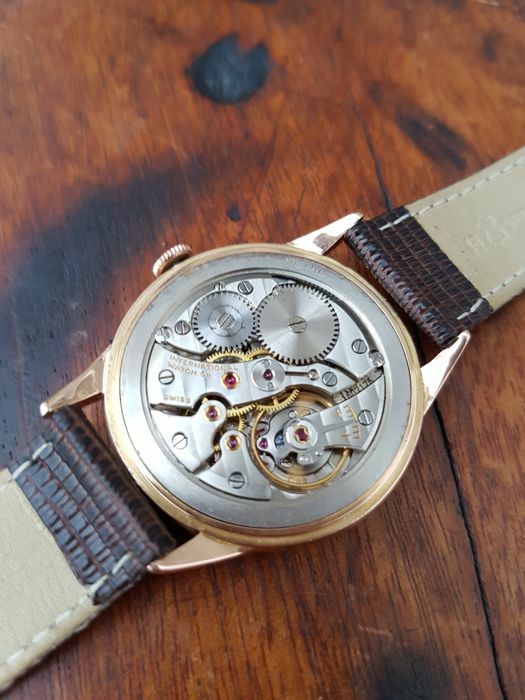 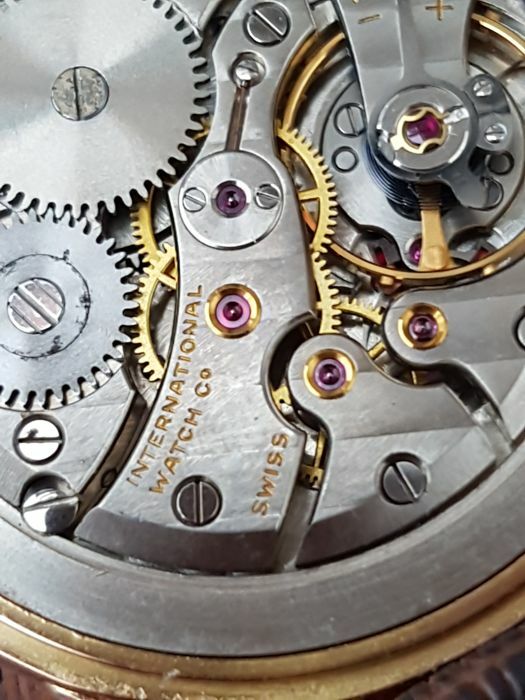 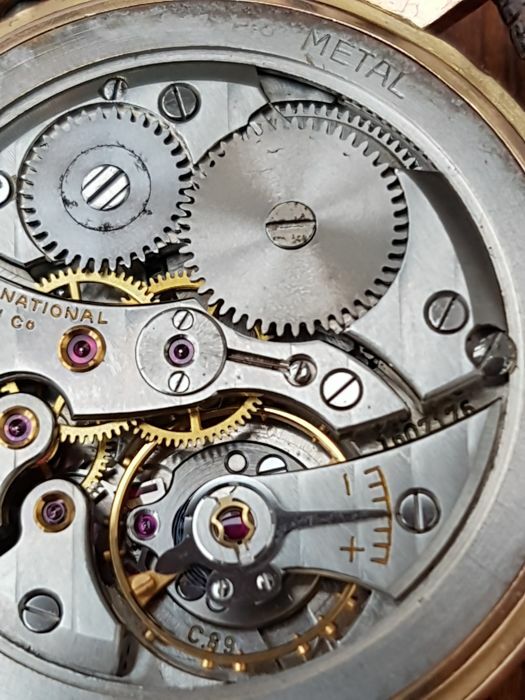 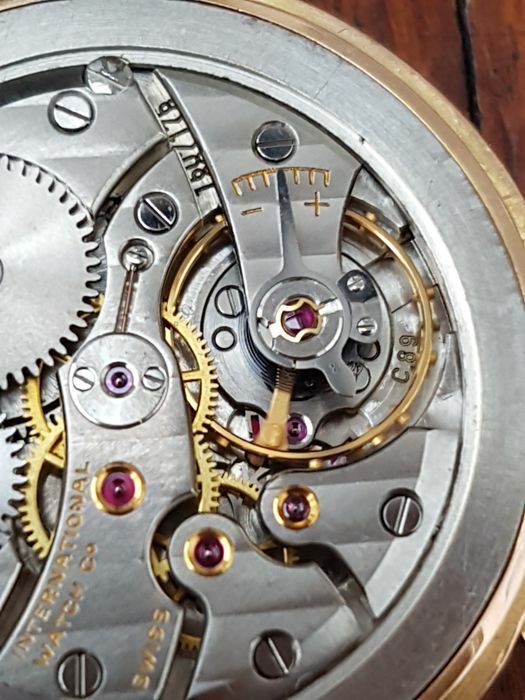 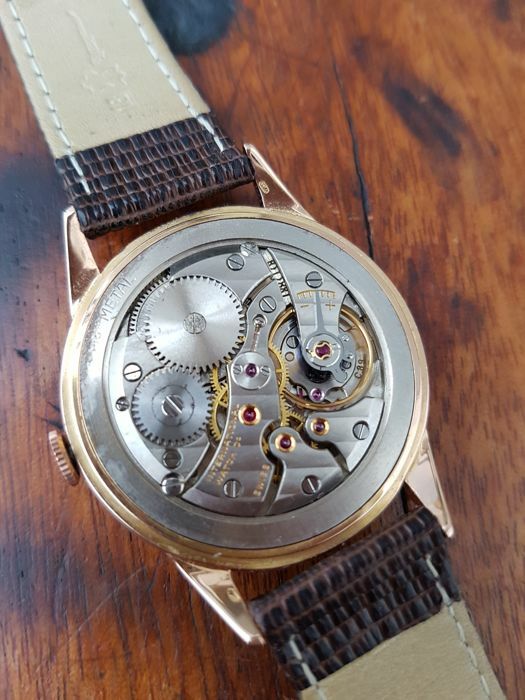 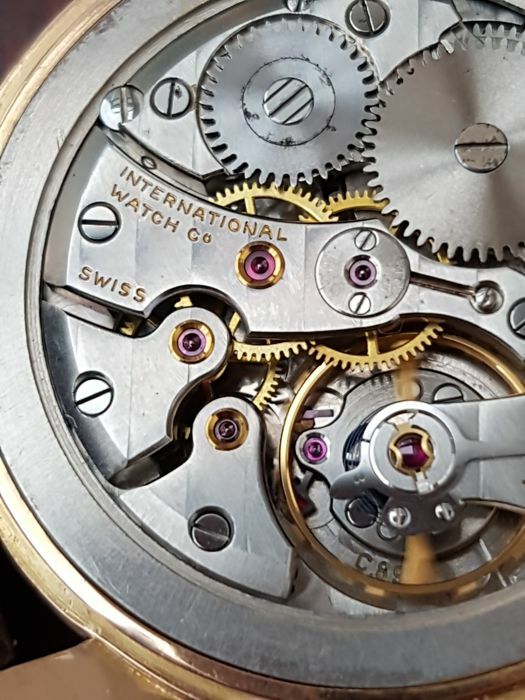 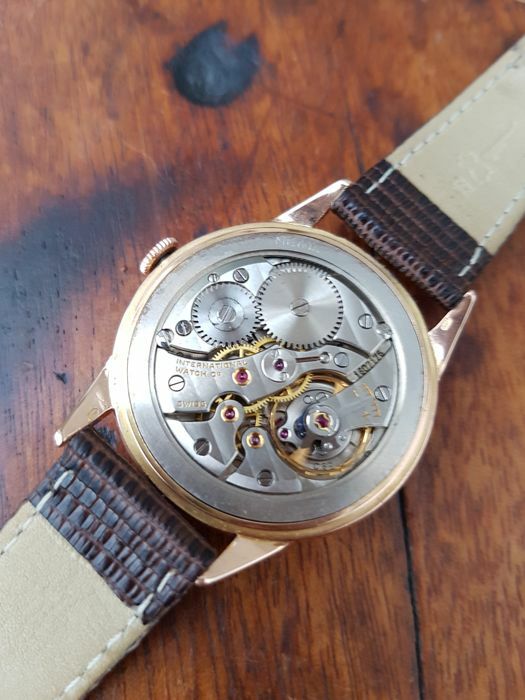 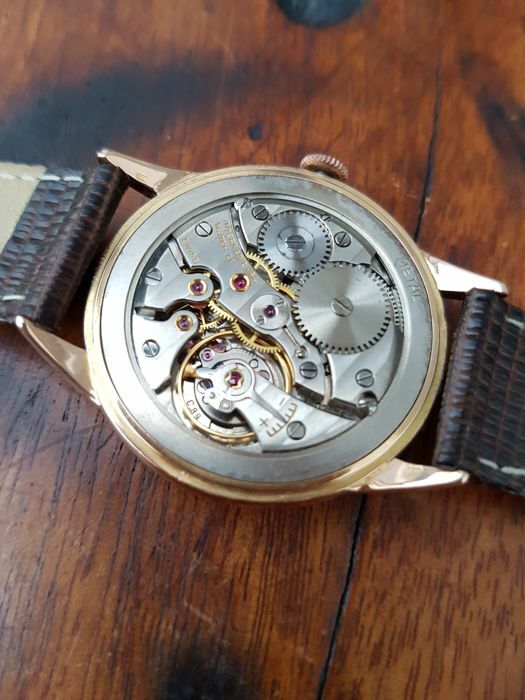 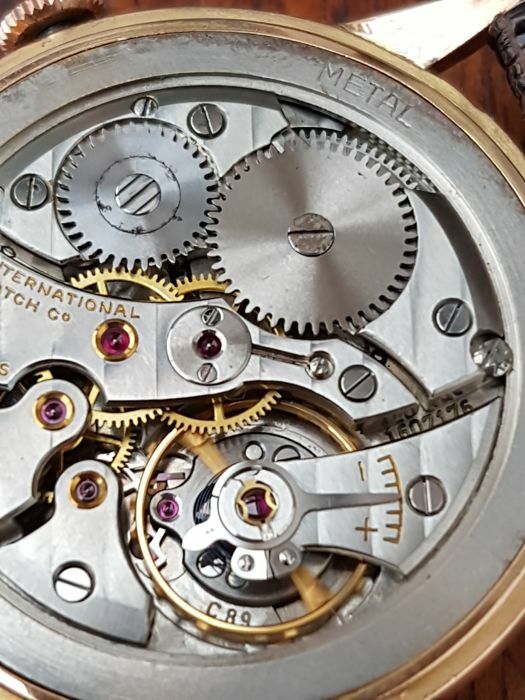 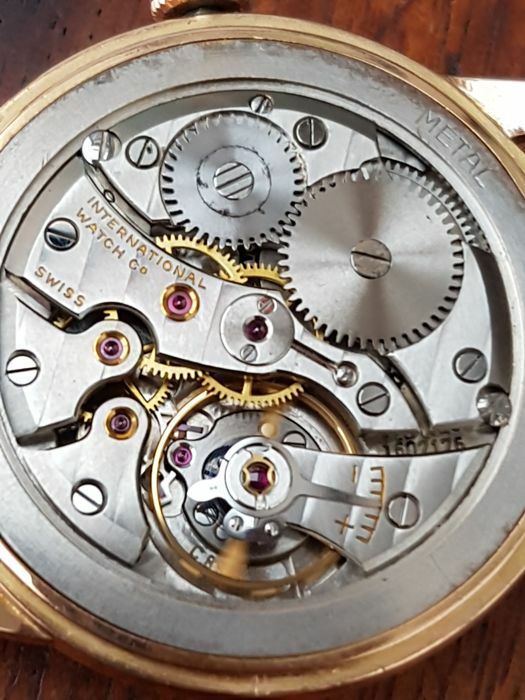 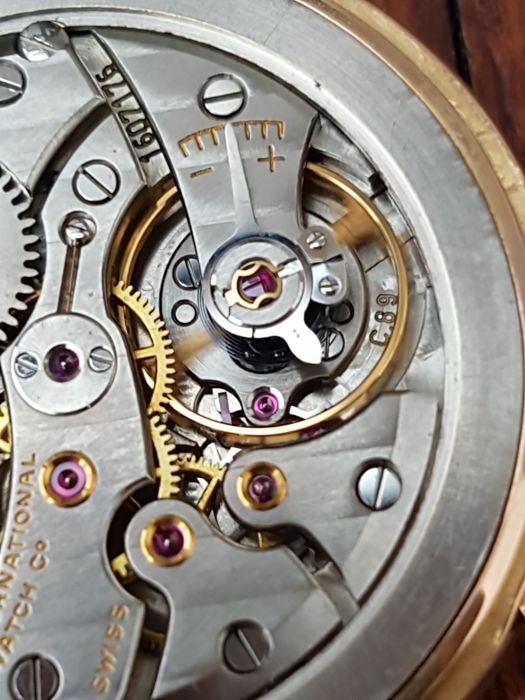 Movement of the watch IWC cal.89 is in excellent condition, very clean, running strong and keeps accurate time very well. 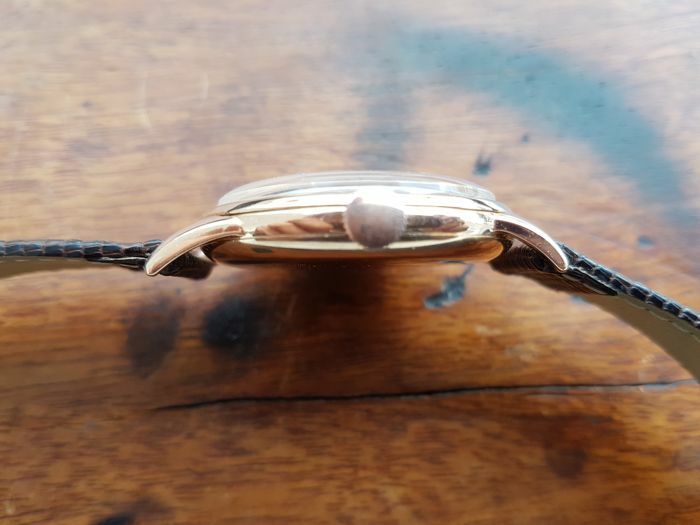 You can pick up this lot from the seller: Elbląg (Warmińsko-Mazurskie), Poland.